This seems to be the original version, introduced in 1975. The top stud is solid. This seems to be a later version, introduced in 1978. The top stud is open, and blocked. This seems to be modern version, introduced in 2011. The top stud is hollow. The mold comparison image shows all three versions. Click on a colored part below to see the Sets and MOCs that use part 3626b Minifig Head Plain [Blocked Open Stud] in that color. You can find an overview of all LEGO Colors here. 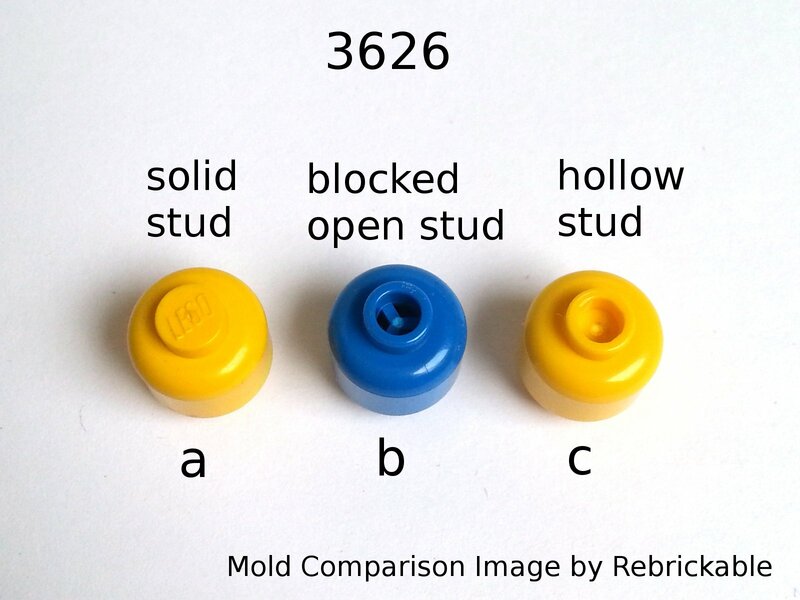 There are 4 Mold variations of part 3626b - Minifig Head Plain [Blocked Open Stud] in the database, in use between 1990 to 2019. See Molds and other related Parts.